This XR Extreme Runtime Mitre Saw Blade can deliver up to 48 metres of cut when used with the 54v FLEXVOLT Mitre Saw in comparison to 39 metres when used with standard XR 18V Power Tools. The DT99575 with its 60 tooth configuration delivers fast and accurate cuts in heavy-duty applications. Perfectly suited to the cutting of large and thick timbers and various other site materials. 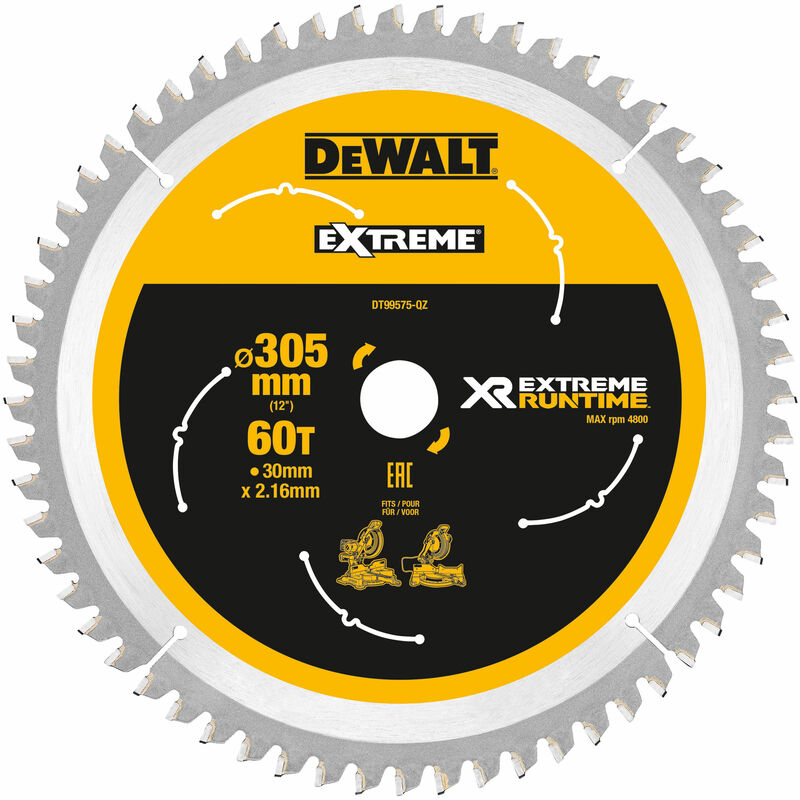 This saw blade has been specially engineered to meet the DeWalt Extreme Runtime benchmark with twice the working lifespan and performance. 30mm bore to suit a variety of mitre saws.